When nice weather strikes, the primary thing most jeep owners want to do is take off the top and doors on their Jeeps. Most Wrangler owner’s cannot take the doors off their Jeep’s and remain street legal. 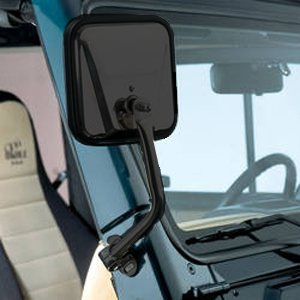 Many areas require an outside mirror on the driver’s side of the Jeep, and the Wrangler mirrors are attached to the doors. One solution is to install CJ-Style mirrors on your Wrangler. 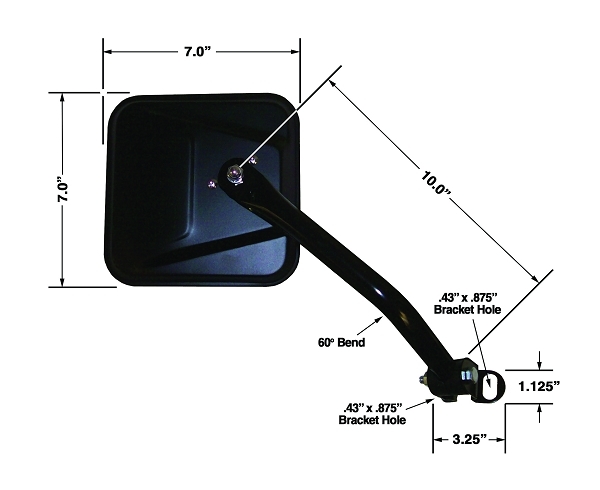 CIPA’s CJ-Style Replacement Mirrors attach to the windshield permanently, enabling you to take the factory mirrors off your doors. With CJ-Style Replacement Mirrors you can just pull off your doors and go! 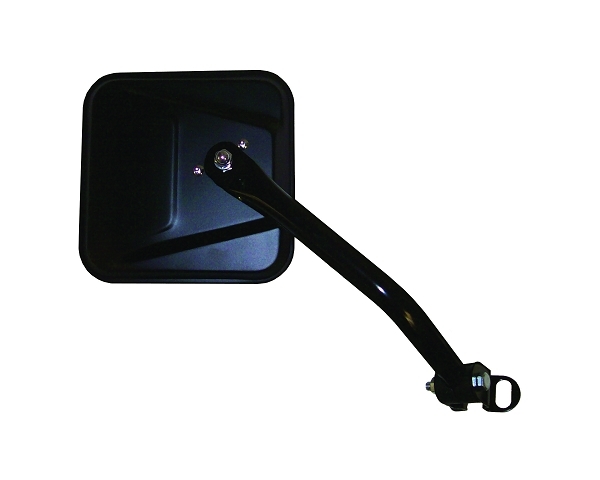 Mirrors mount to the outside edge of the upper windshield hinge using existing holes so drilling is not required. The placement of these mirrors are great for half doors, soft doors, or no doors. They also continue to be functional with full doors in place – even on the passenger side. The passenger side mirror was designed to be viewed through the windshield, and not through the passenger door window. It is placed at the same angle as the driver’s side, but the arm is positioned in more of a forward direction so it can be seen from the driver’s seat. The brackets on the CIPA’s passenger side mirrors are bent to accommodate the view of the passenger mirror from the driver’s seat. Don’t waste time installing hinge mirrors. 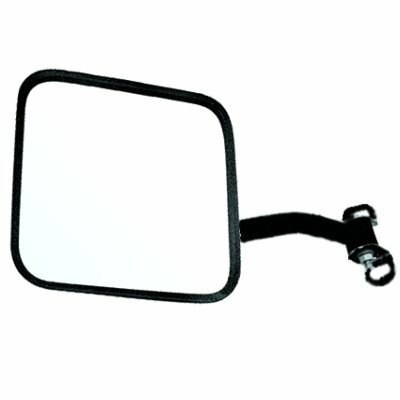 Get your mirrors back without relocating your stock mirrors with CIPA’s CJ-Style Replacement Mirrors. This mirror is for the passenger side and has a black satin finish; the glass is manual adjusting and flat (non-magnified). The mirror is non-foldaway and non-heated. Each kit includes 1 mirror with attached bracket, 2 bolts, and 2 washers.